Seal oil is a superior source of Omega -3 compared to fish in many ways. DPA is present at very low levels in fish oils relative to EPA or DHA but is almost as important as either the EPA or the DHA. Harp Seal oil can supply up to 10(ten) times more DPA than fish oils, About a third of the long-chain Omega-3 fatty acids circulating in human blood is attributable to DPA. Because of this, DPA has become of interest to medical researchers in both France and Japan. It seems that in the blood vessel walls, EPA may actually be converted to DPA as the effective agent. Japanese researchers at the Tokyo Medical and Dental University in Tokyo have shown that the one stimulating effect of EPA is the key in producing prostaglandin, for which, keeps the artery wall soft and free of plaque. This study indicates that DPA may be 10 ~ 20 times more powerful than EPA in this effect. Harp Seal Oil is the ONLY supplement rich in natural DPA. With the exception of seal oil, the highest incidence of DPA is in human breast milk. Deficiencies in Omega-3 PUFA's such as DPA may result in impaired development of visual acuity and motor skills, according to several studies. 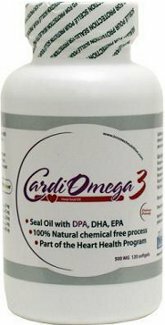 The relative proportions of Omega-3 PUFA in most fish oils does not correspond well with that of human breast milk, but Harp Seal Oil into the human body is easier and more thorough than fish oils. In Harp Seal Oil, the Omega-3 fatty acids are in the -1 and -3 positions of the triglyceride molecule (same as humans) while in fish oil they are in the -2 position. The Omega-3 content of Harp Seal Oil is 20% ~ 25%, which is higher than most fish oils, making Harp Seal Oil supplement a much more effective source of Omega-3 than fish itself. 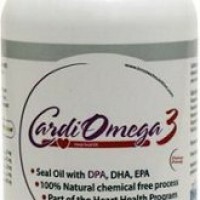 Harp Seal Oil is virtually free of cholesterol, while many fish and fish oils are relatively high in cholesterol. Fish oil is susceptible to oxidization whereas Harp Seal Oil is more resistant to natural oxidative processes. Preliminary experiments by Drs. Nakhla and David have shown that the extent of oxidization of Omega-3 PUFA in Harp Seal Oil in vitro was less than half observed in fish oils. Omega-3 PUFA's decreases plasma lipids through reduced synthesis of fatty acids and very low-density lipoproteins (VLDL). They also have a direct effect on the heart muscle, increase blood flow, decrease arrhythmias, improve arterial compliance, decrease the size of the infarct and reduce several cellular processes that compromise heart function. It has also been suggested that marine oils may retard atherosclerosis through their effects on platelet function, platelet-endothelial interactions and inflammatory response. Research has indicates that Omega-3 can reduce the risk of primary cardiac arrest by 70% by reducing blood vessel blockages. Other work (Dr. Leof of Harvard Medical School) has found that PUFA's can prevent sudden death from irregular heartbeats following a heart attack. Another study has found that a diet rich in Omega-3 can reduce chances of a second (fatal) heart attack by 30%. The results are primarily from the fact that Omega-3 makes the walls of the blood vessel blockages that are often the cause of heart problems. A British study claims that up to 80% of schizophrenics are deficient in unsaturated fatty acids like Omega-3. Omega-3 deficiency has also been linked to depression and general mental deterioration. More than a dozen studies confirm that Omega-3 offers anti-inflammatory relief for arthritis suffers. A disorder characterize by high blood levels of glucose in the blood. Diabetes can damage the large blood vessels increasing the risk of stroke, heart attack, and in the limbs, gangrene. Many studies now suggest that Omega-3 is invaluable in combating circulation problems associated with diabetes by rendering the walls of the veins and arteries smoother and more elastic. A person with a high level of cholesterol came to the National Hospital in Nuuk. He had tried different diets and medical treatment, but his cholesterol count was still higher than was it was before, he was urged to eat only traditional Greenland food (Harp Seal Meat, Fat). In just a month his cholesterol count fell by a whole 70%. Recommended Dose: Adults take 4 - 8 capsules per day or as directed your health care practitioner.